This is one of the most important aspects of a presentation. At the beginning of a presentation, one has to attract the attention of their audience. Grabbing their attention does not mean to overcrowd your slides but instead make them look effective. 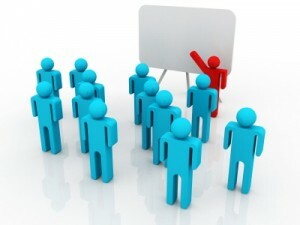 If your presentation is not able to retain the audience’s interest, all your hard work may go waste. A good presentation is easy to follow. One must always keep in mind that the content should flow smoothly without confusing the audience. There shouldn’t be conflicting ideas or contradictory statements within a single presentation. The content should use simple, clear words to reach the audience. Every slide should cover a uniform number of points, for example, limit the number to 5 or 6 points for each slide. Considering the font used, we must keep in mind how many points can be accommodated on each slide to avoid the clutter on the slides. Keep the points short and brief. To make your presentation effective, always filter unnecessary information. Effective presentations generally deal with the right words, at the right place, in the right tone. We must always take care of the number of words used in each point or sentence. Always try to convey the message effectively in the least number of words possible. To make your PowerPoint presentations appear catchy and appealing, always try to use images related with the topics covered. The use of animations should be judicious such that it shouldn’t distract the audience. The latest versions of Microsoft Office offer a variety of options when it comes to choosing the fonts. An effective presentation should contain font sizes which are legible for a large audience. Avoid using light font colors as it might not be clearly visible to viewers at a distance. Instead, the use of contrasting colors is recommended. Fonts and their sizes should be chosen keeping in mind that they do not appear blurred or pose any difficulty to the audience. It is vital to ensure consistency within and across all the slides to create an efficient presentation. For example, a presentation should have carefully designed slides to mark the beginning, main content and a logical end.